Picking up the theme of Konflikt 47 once again. 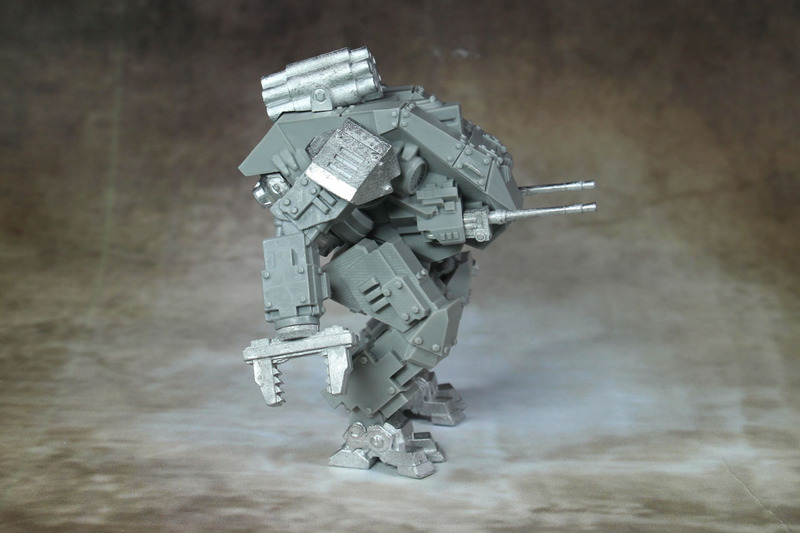 We cover today an interesting counter-part to the jump walkers of the Allied Forces, like the M2 Mudskipper, the Locust Panzermech by the Axis. 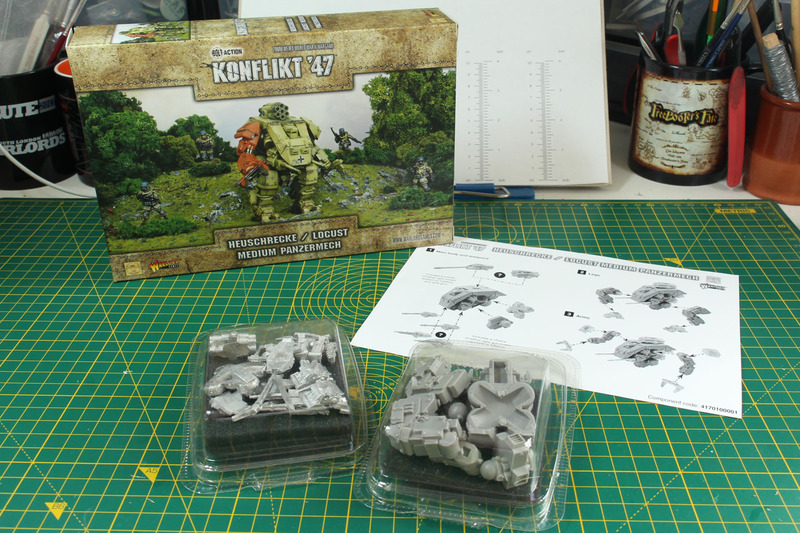 Konflikt '47 is a joint project by Warlord Games and Clockwork Goblin and is set upon an updated Bolt Action's First Edition ruleset. 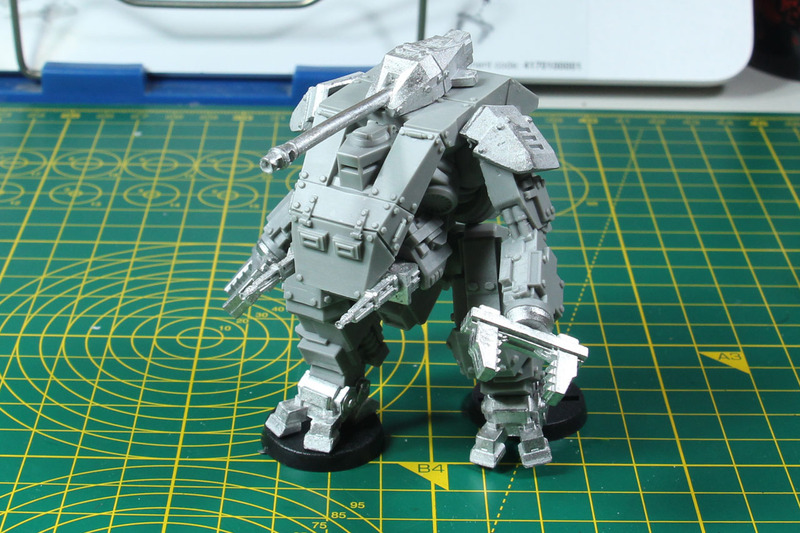 Some of the kits make use of the existing range of Bolt Action, add additional parts to them (like the tanks) or are complete newly designed kits, like these walkers. 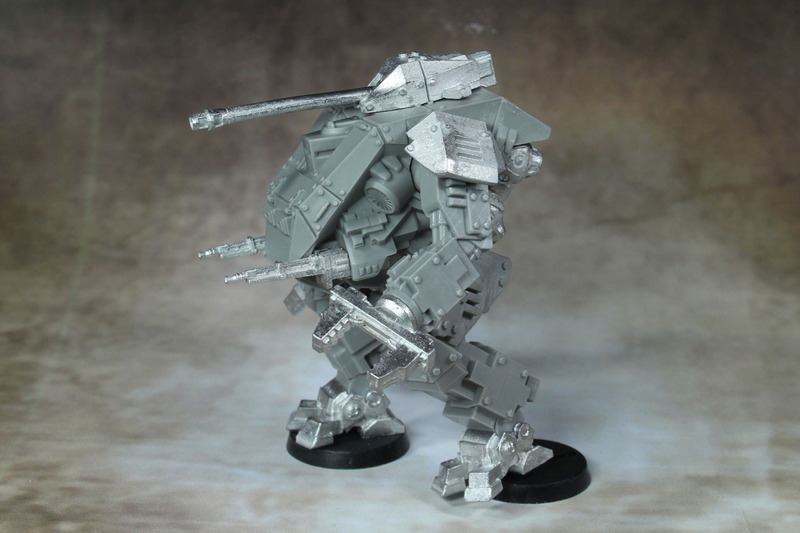 Walkers are a popular choice for many post '46 World War (pulp) settings and Konflikt '47 is no exception. 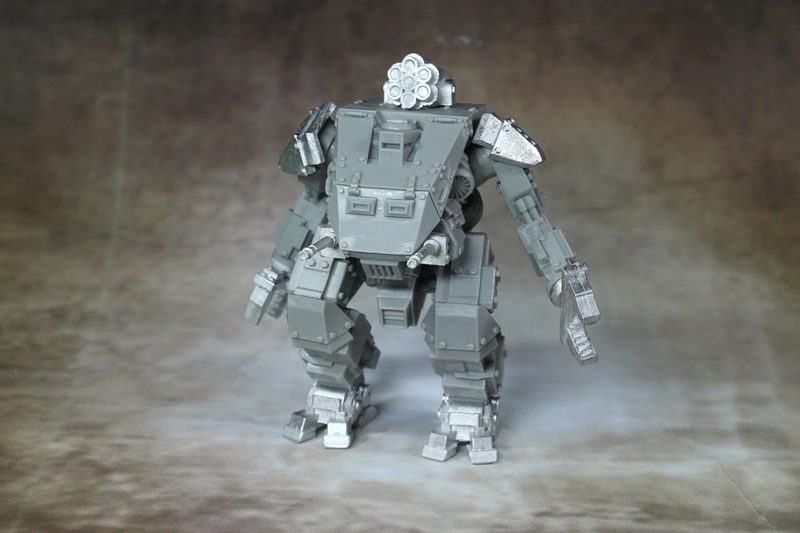 While the jump mechs were primarely available for the Allies, the Rift technology available to the German scientists drove the panzermech programme further. 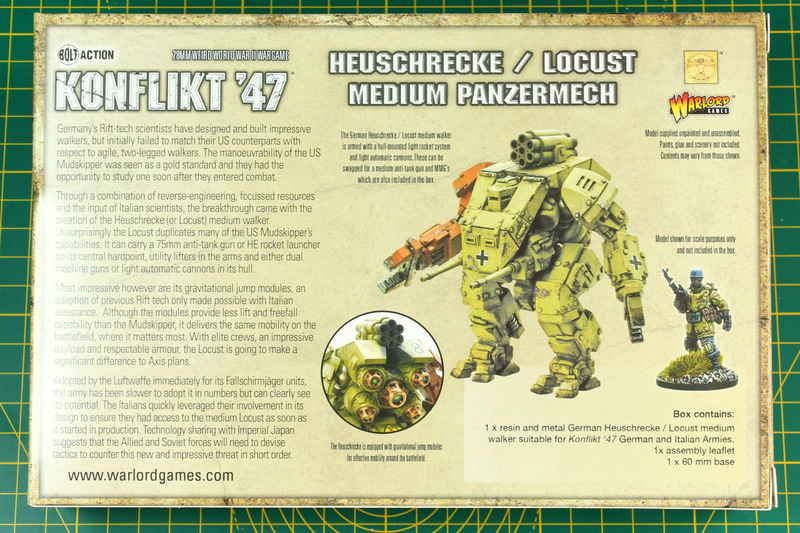 They developed a jump capable mech, that was reverse engineered with support of the Italians, creating the Heuschrecke / Locust medium Panzermech. It has the choice between an HE rocket launcher (Nebelwerfer) and a 75mm anti-tank gun on top and either dual machine guns or light automatic cannons in its hull. 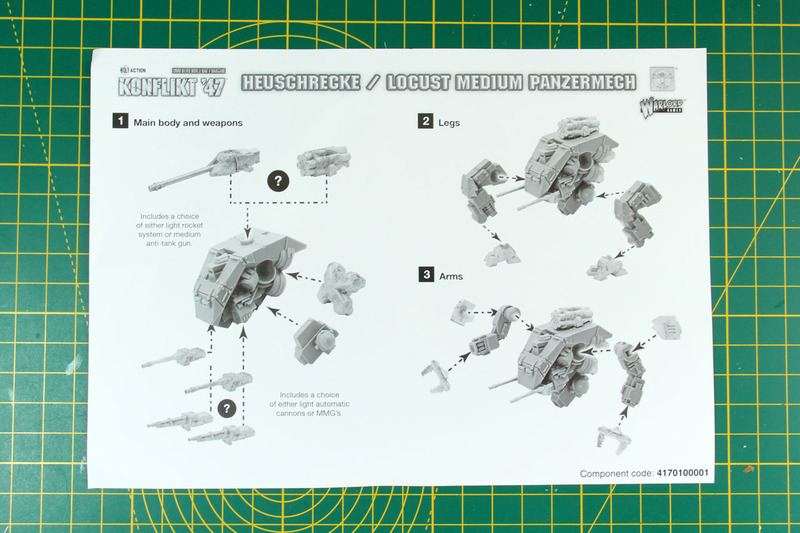 Like the Mudskipper supports the jump troops, the Locust is the perfect unit to go with the (Falcon) Fallschirmjäger or similar fast assault troops. 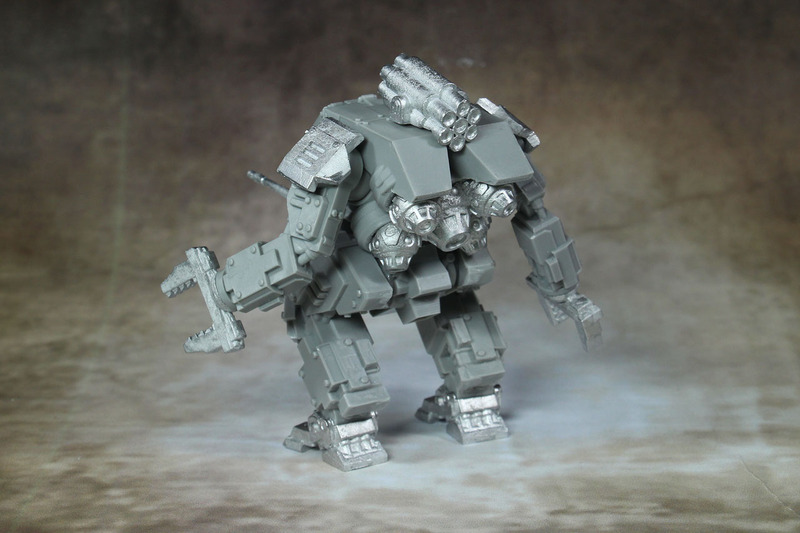 The Locust is a resin and metal hybrid kit and costs 30 GBP. 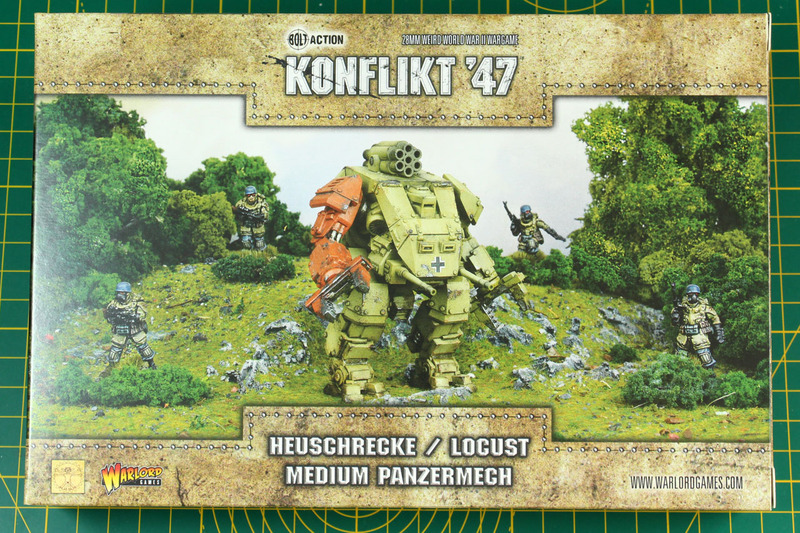 The rules for the medium panzermech can be found in the Defiance supplement for Konflikt '47 on page 97. 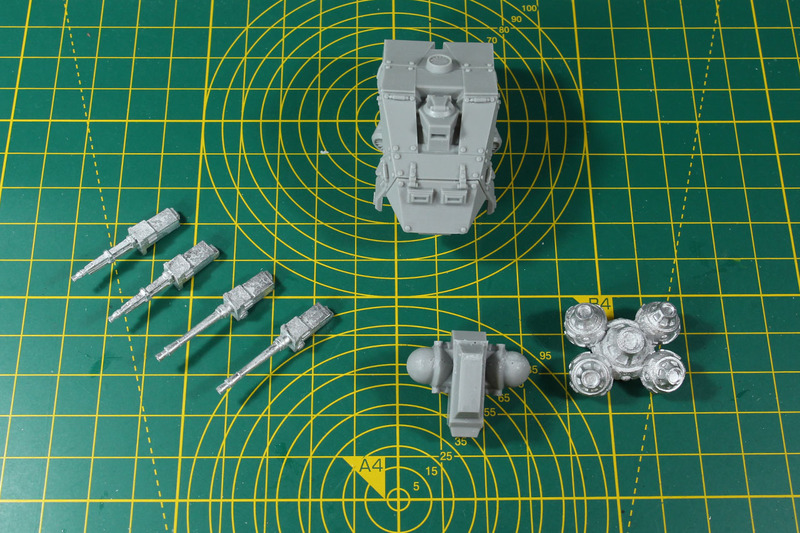 The kit covers the parts for both the 75mm gun and HE rocket launcher, as well as the two different hull armaments. 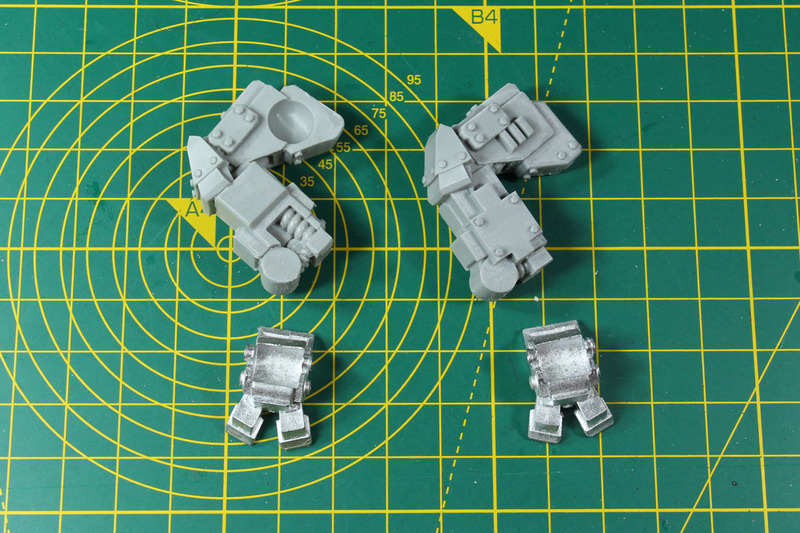 As this is a resin kit, please take the appropiate preparations, meaning wash it properly with luke-warm soap water to get rid of any remainders of release agent. The casting is quite good. 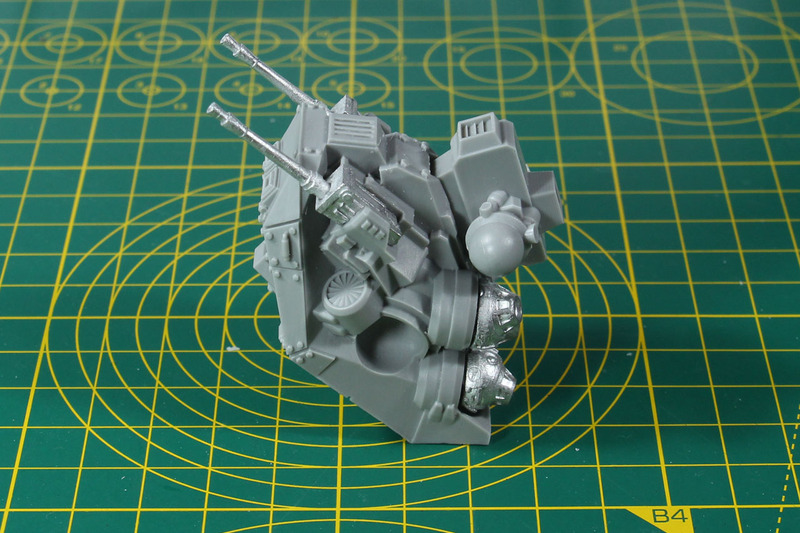 It does not have airbubbles, but some mould lines and flash. Offset wasn't a problem and neither was warpage. 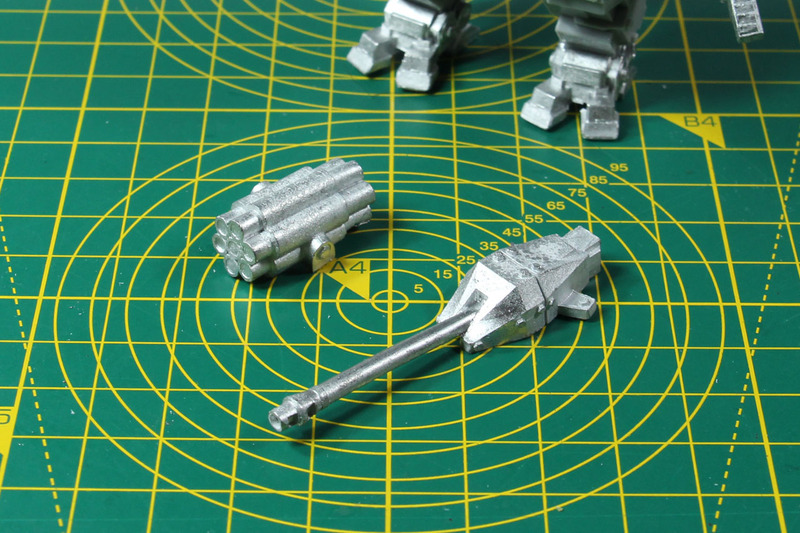 The instructions are pretty clear and I prepared the metal and resin parts, by trimming of the mould lines. Let's begin with the upper torso. 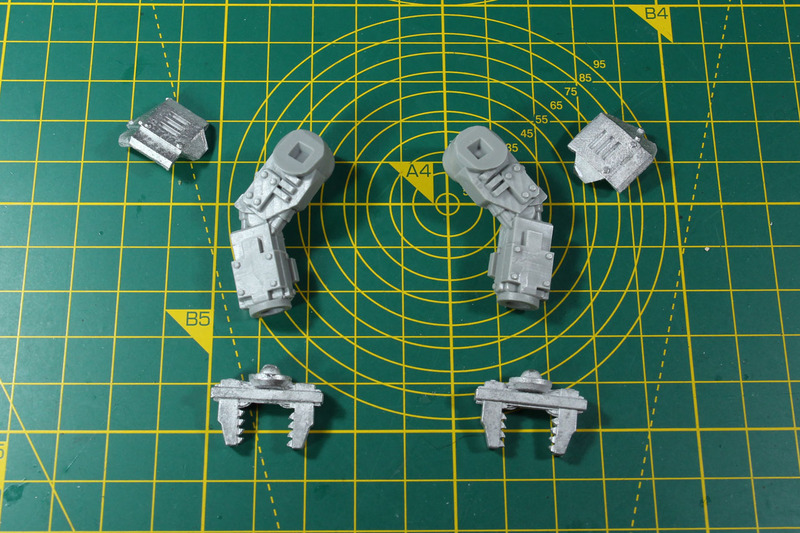 The groin is added as well as the jump packs to the back. The fit of the hull weapons is quite snug and stable. Next up the arms. I like the utility lifters, as they seem practical (for example for moving bulky items or removing obstacles) as well as a proper close combat weapon. 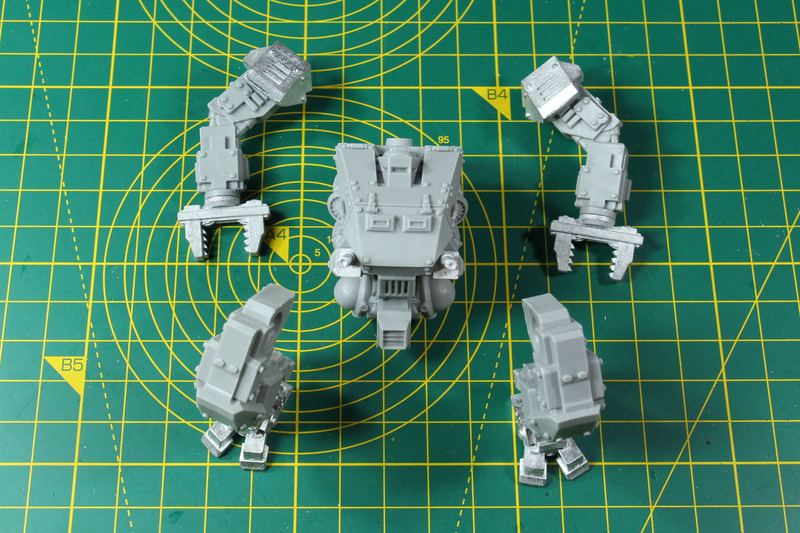 They give it a bit the look of the Alien Powerloader. You can rotate the lifter arms to give the model a more dynamic look. And then there are the legs. Simple parts, angled at the knee and added to hoof like feet. Unfortunately the connection goes by a barrel and not ball joint, so you can only tilt the leg back and forth, not sideways. 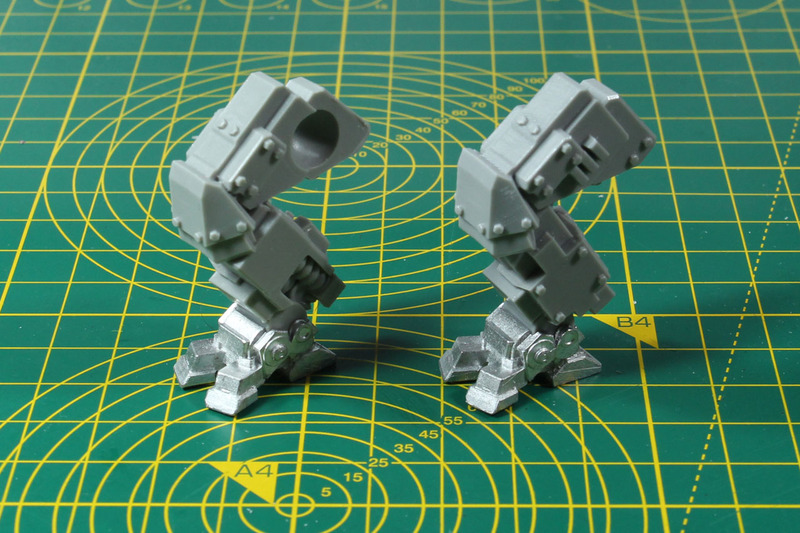 Due to the ball joints, the arms and legs can be put in different positions. Just make sure while assembling / glueing, that they don't colide with eachother. 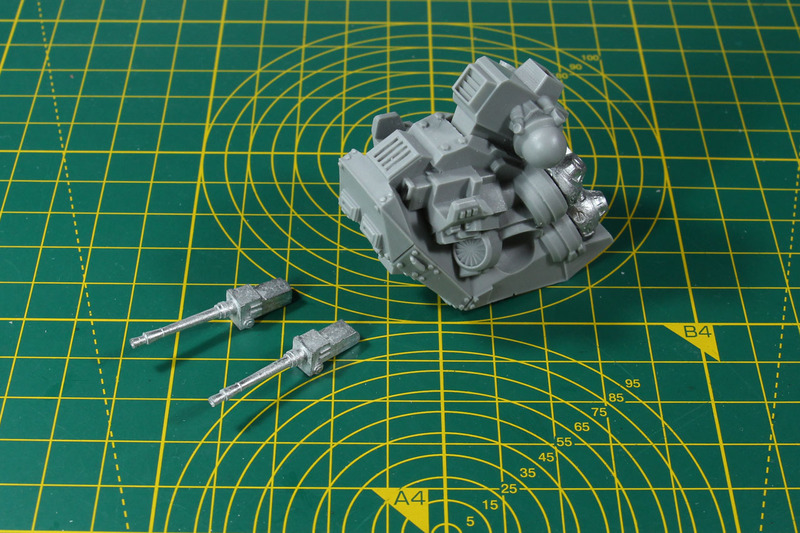 As for the top armament, you woulnd't need to glue that down, as they sit rather solidly in place. 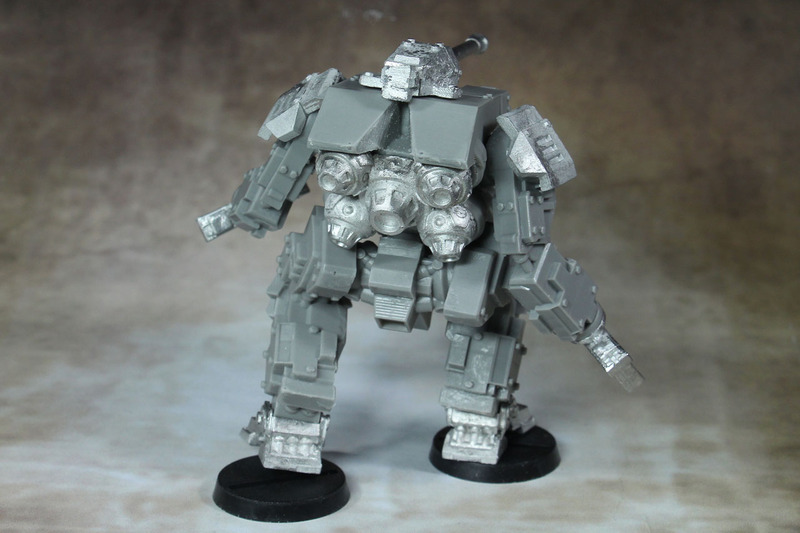 Of course you could magnetize them. As I had two Heuschrecke / Locust kits, I went with both variants of the weaponry and went for a bit more dynamic pose with the second kit. 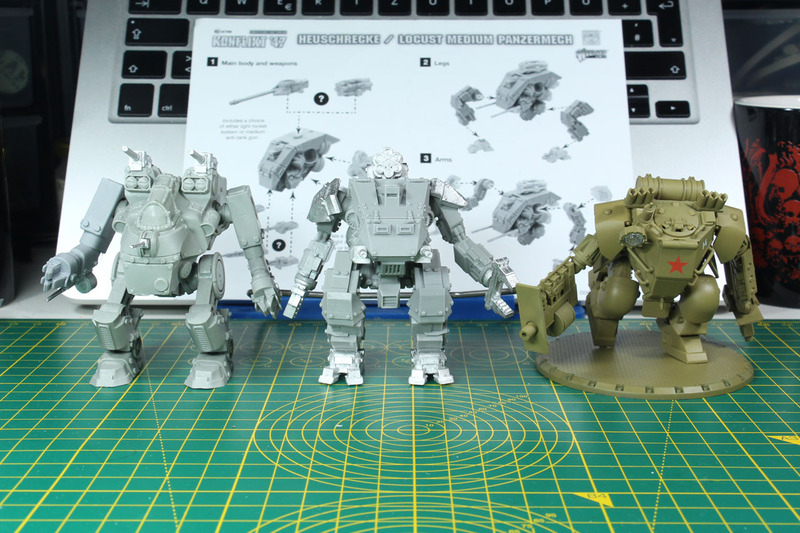 To give you an idea of the size of the Heuschrecke, here it is in between the Mudskipper of the same weight class and a sino-soviet Dust 47 mech. In the second picture in between a Tiger and Spinne light mech. 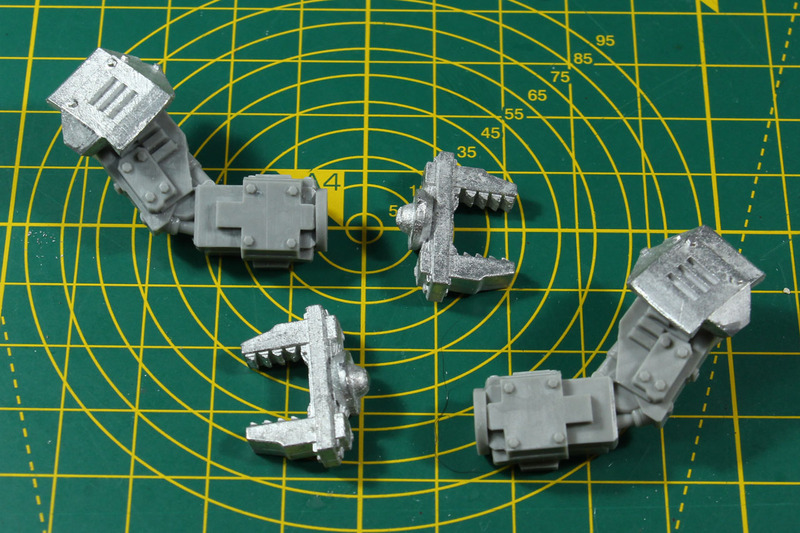 I like the bulky design of the kit and here you see a more settled and a more dynamic variant of the Locust. 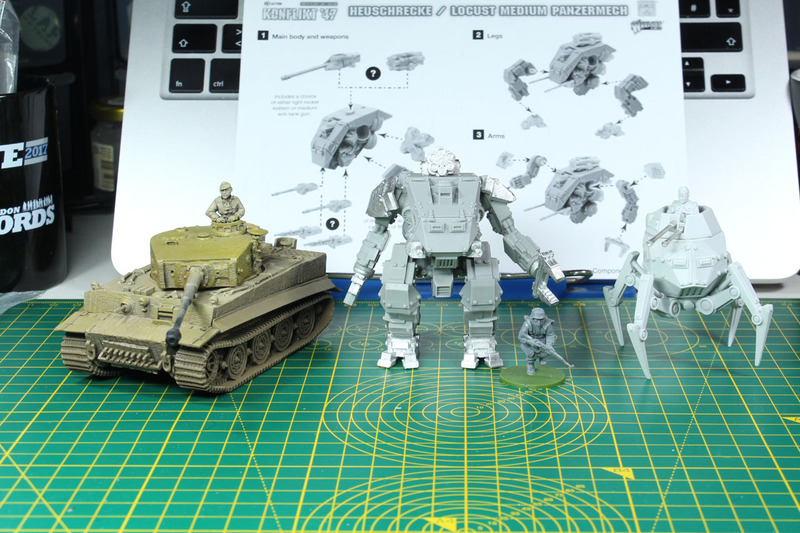 The Locust closes the gap between the light Spinne walker and the heavy Thor / Zeus Panzerwalker. 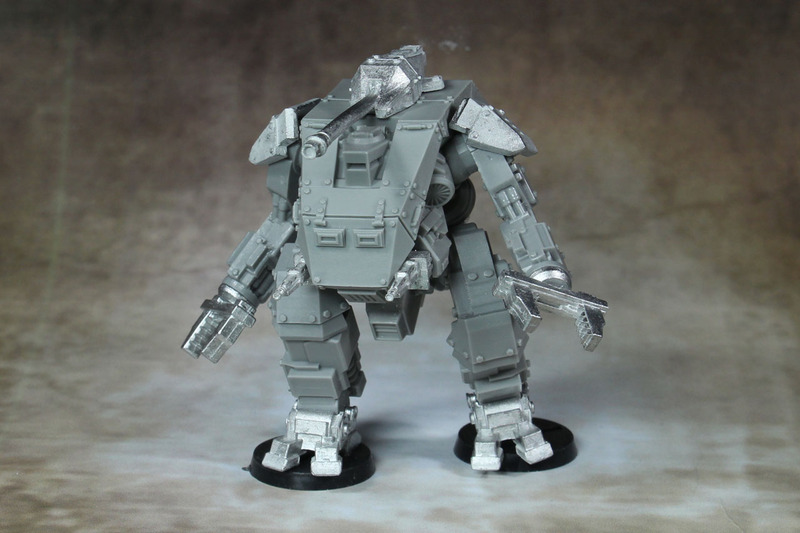 The Thor / Zeus look nice, but are incredibly expensive, so this medium class walker at 30 GBP is more approachable. As with the Mudskipper, I think that price is rather steep, but as Warlord isn't owning the brand Konflikt '47, they are producing the products for and with Clockwork Goblin, therefore there is another one wanting their cut, and along with the margin for whole traders and resellers, that adds up in the end. 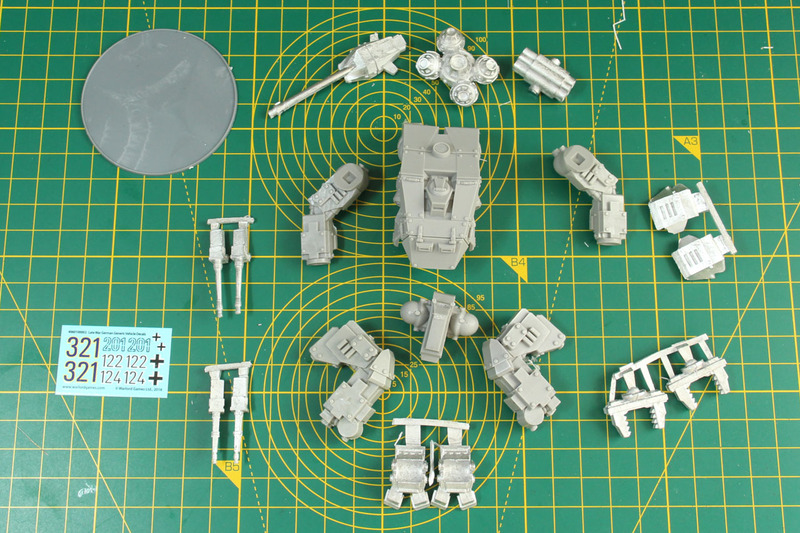 At 30 GBP it is a bit more expensive than the 24 GBP Warlord charges for their tanks. 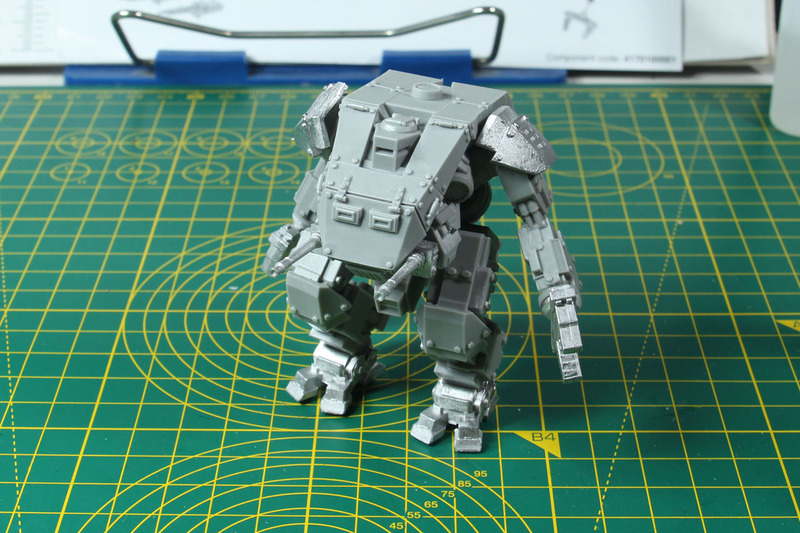 But it still cheaper than the Dust KV47 (45 EUR) and Westwind Tiger Mecha (40 GBP). But you can see that this a newer design and that makes it easier to justify the price. It is bulky, but not too boxy. A nice pattern that I can imagine very good with a desert or winter camouflage. The options are a good thing, but similar to the Mudskipper, the kits could give you more dynamic poses, which would upgrade the overall feel of this kit by a lot. 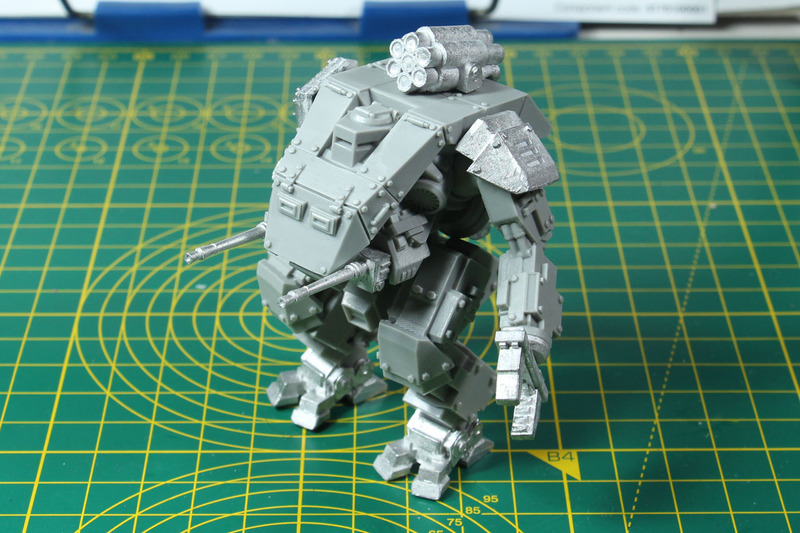 Adding some stowage, like you would with a tank, will certainly make the kit more "living", other than that I think this is one of the better designs the range has to offer and I'd like to see the same development as with the Bolt Action infantry kits, that got better and better with each release. Bolt Action is a brand of Warlord Games. Konflikt '47 is a brand of Clockwork Goblin. The reviewed product item was provided by the manufacturer.